| René Crone | | Unplugged | | Anything |: Be careful of commodity thinking? 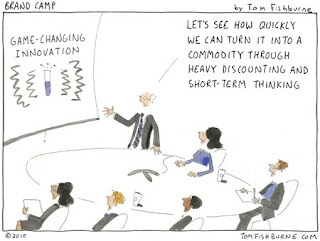 Be careful of commodity thinking? 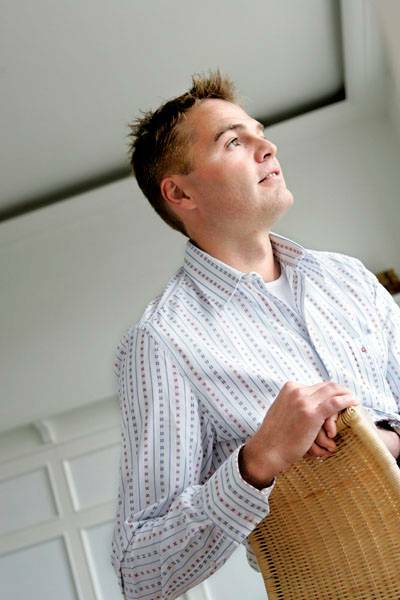 Richard Tait, co-founder of Cranium, one of the the fastest selling board games in history. When asked, Richard said what led to their success. He says, "Starbucks". Every other board game maker followed the traditional path of game expos and mass channels. Richard and Whit Alexander didn't know a thing about board games when then started, so they missed the traditional retail buying windows. Running out of options, they naively pitched Howard Schultz about selling their game in their cafes, which had only had coffee merchandise before then. This nontraditional launch gave Cranium an edge over every other game launched that year the traditional way. Sure, the game itself had to be brilliant to be successful. But, finding a completely new path to market was just as important to their success. ..."